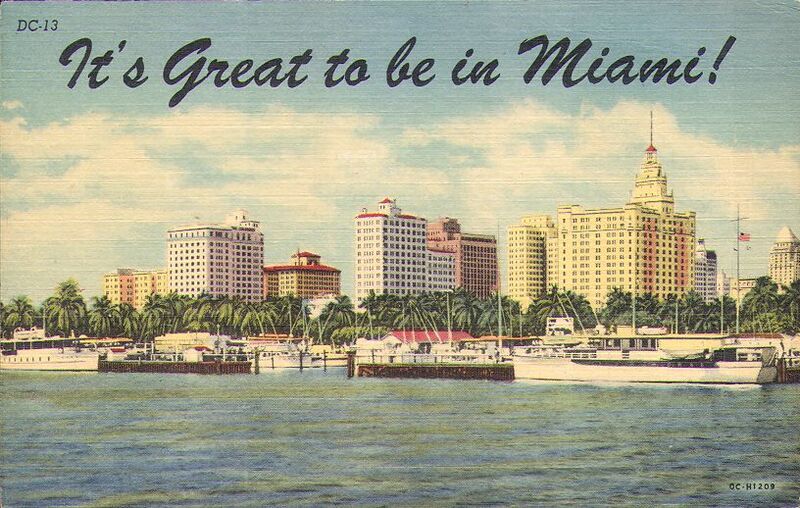 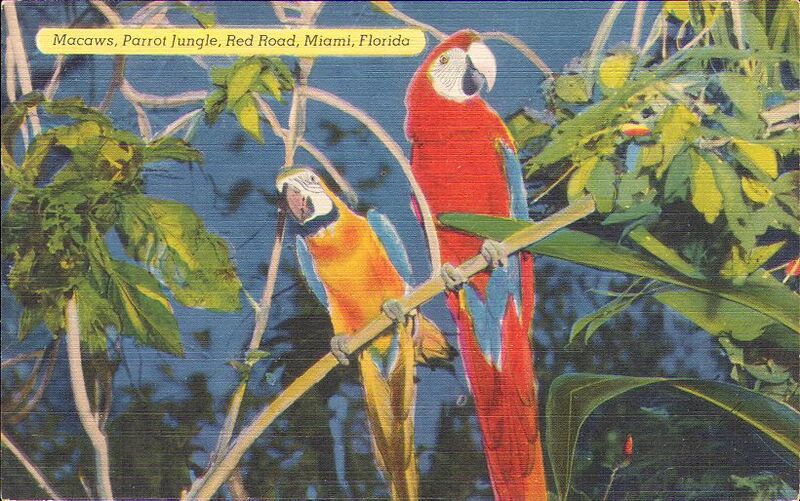 Sightseeing tours in Southern Fla. most always include Parrot Jungle, a natural jungle of unspoiled tropical beauty. 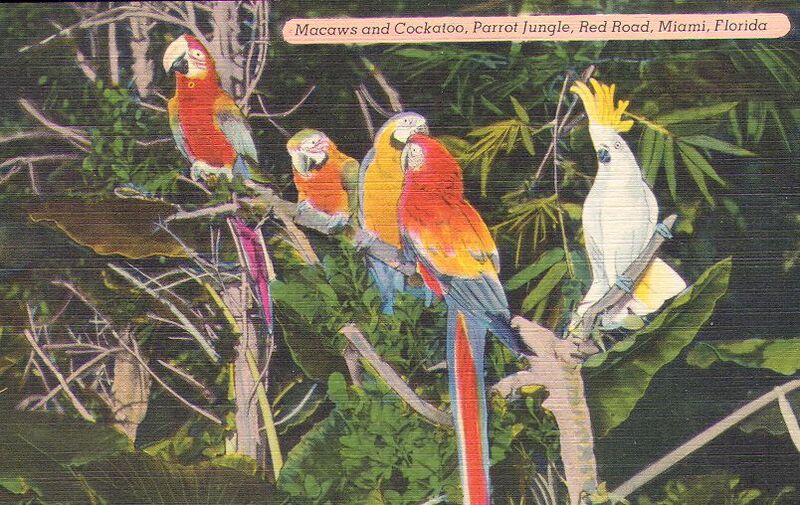 Brilliant Macaws, Parrots and Cockatoos fly about free, while Pea Fowl, Pheasants, Flamingoes and Gouras, strut below in gorgeous array. 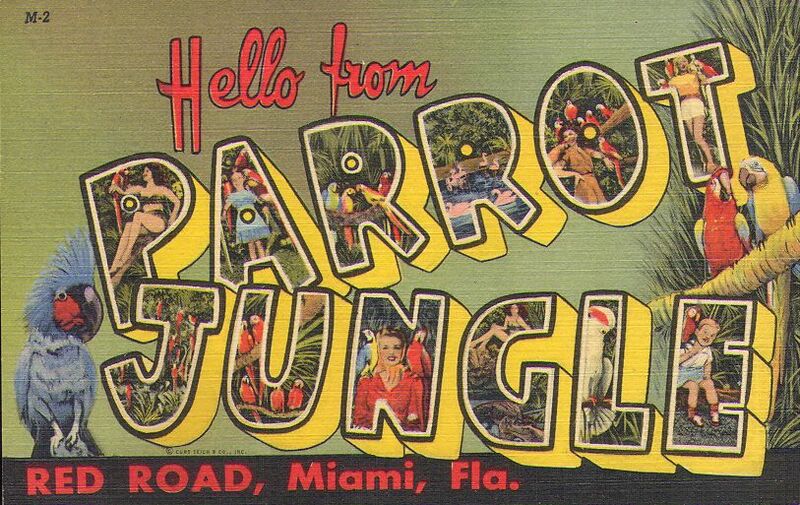 Be sure to bring your camera and enjoy Parrot Jungle. 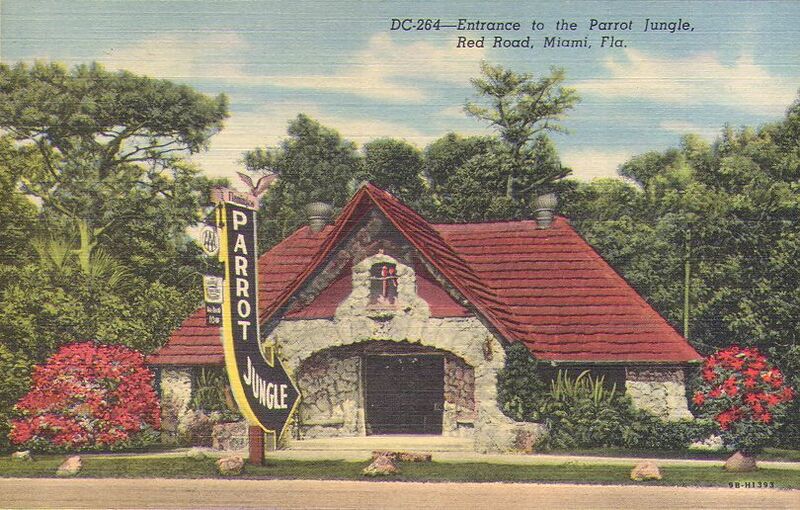 Entrance to Parrot Jungle, Red Road, Miami, Fla.
Sighseeing tours of southern Florida most always land at Parrot Jungle, where the natural jungle is one of unspoiled tropical beauty. 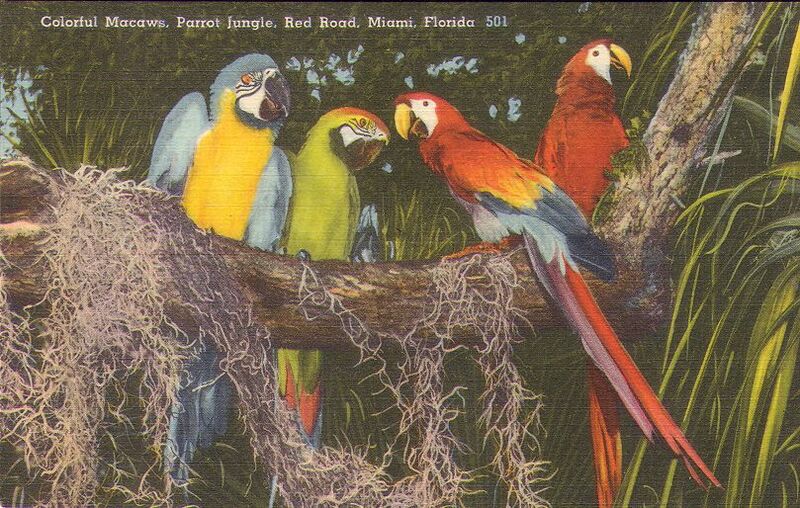 Brightly colored birds are in evidence everywhere. 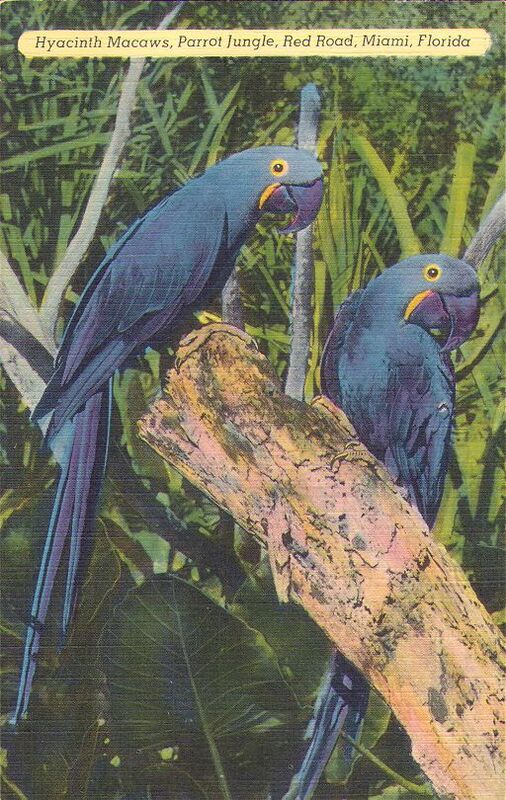 The brilliant macaws and parrots perched on high limbs, white pea-fowl and pheasants strut below in gorgeous array. 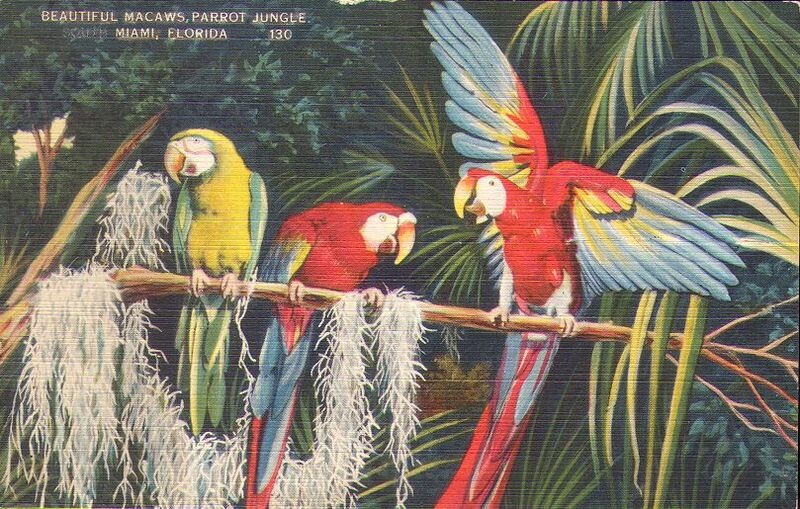 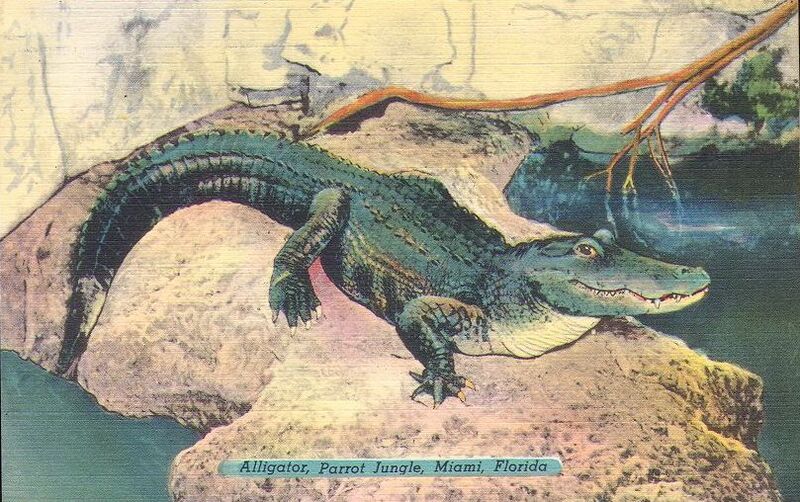 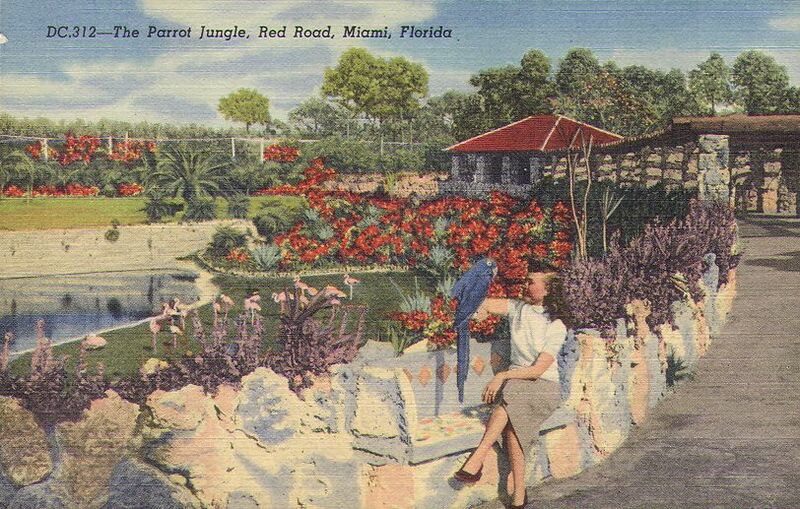 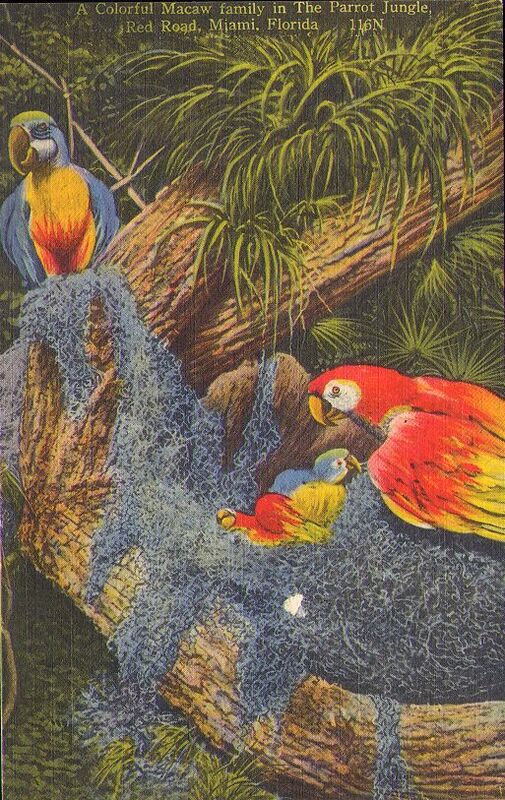 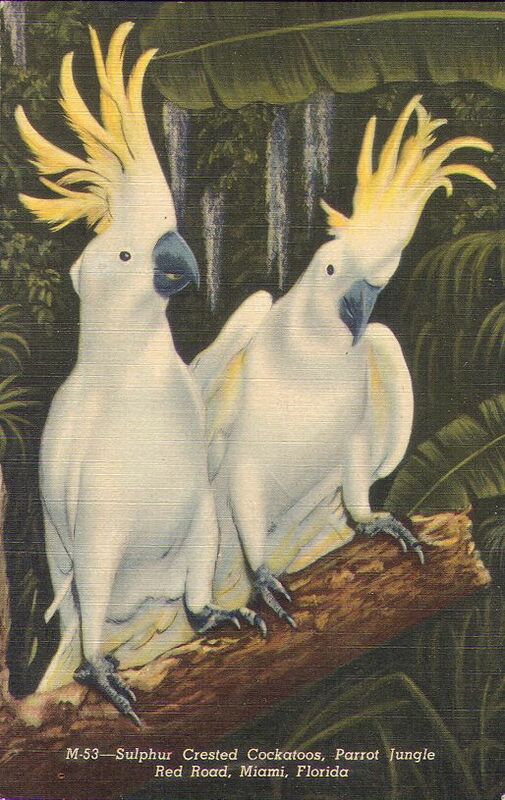 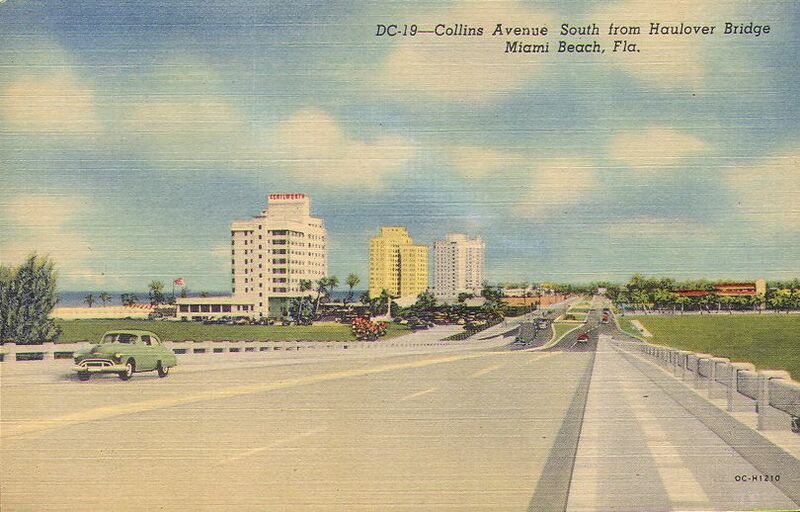 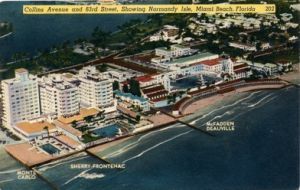 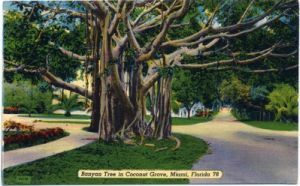 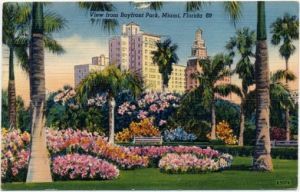 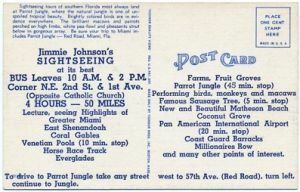 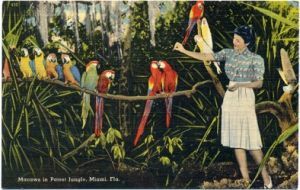 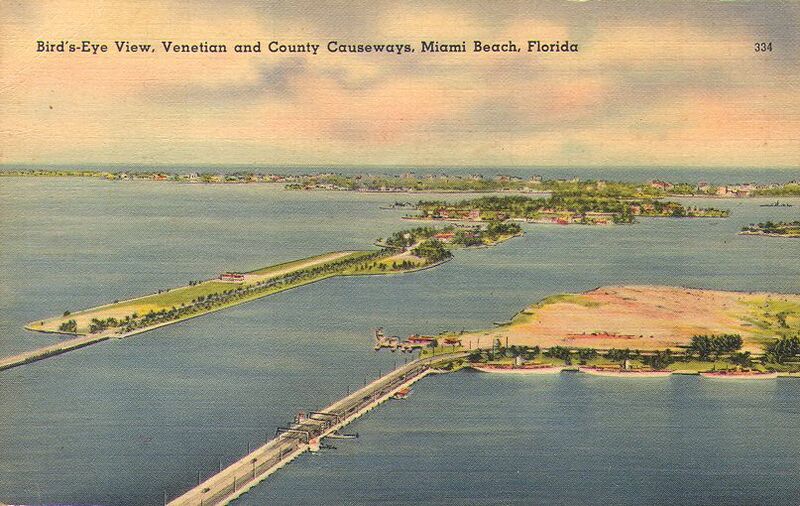 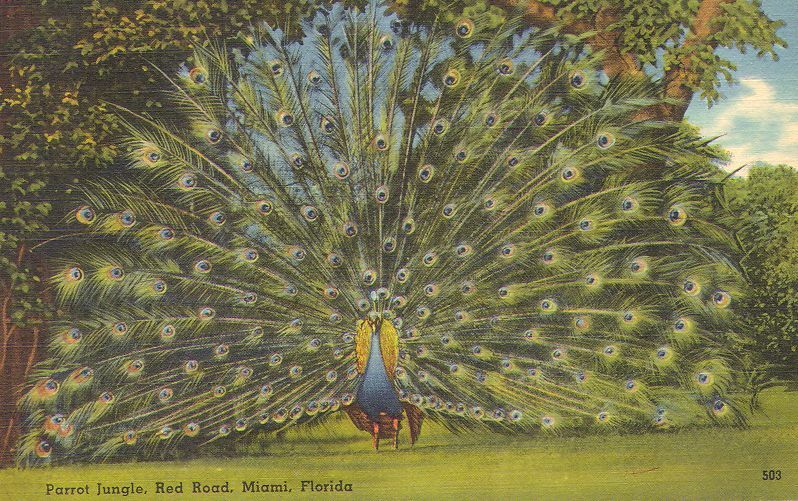 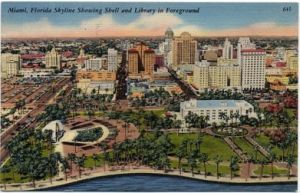 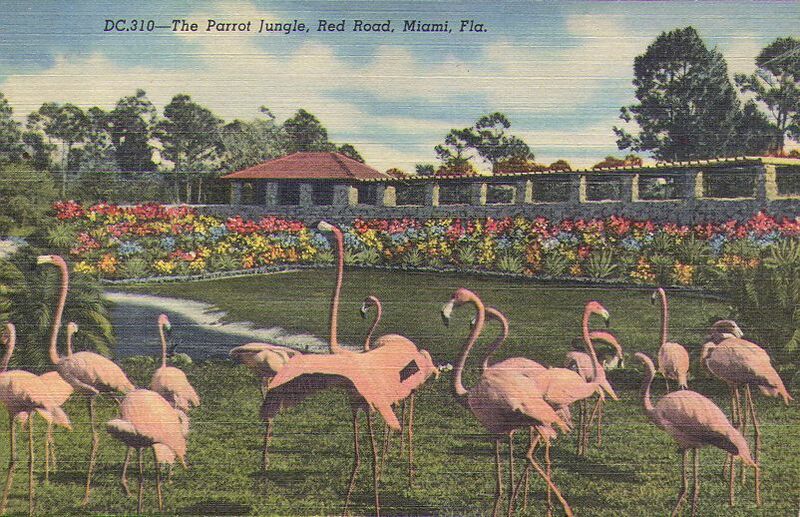 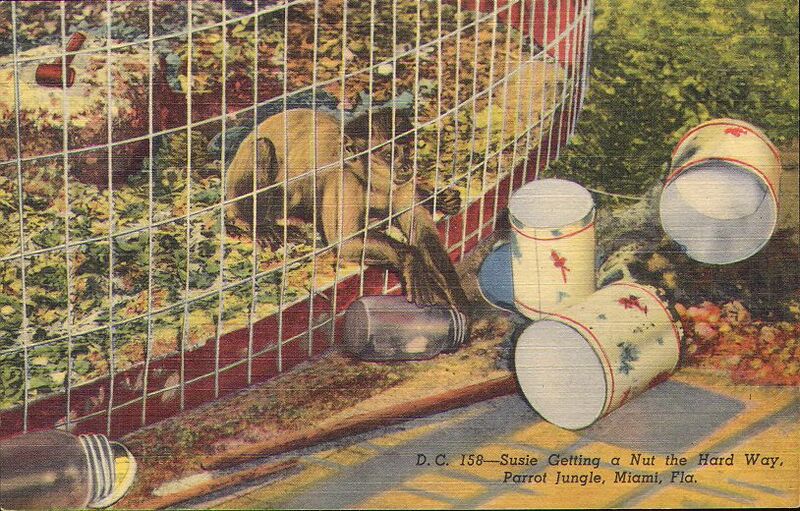 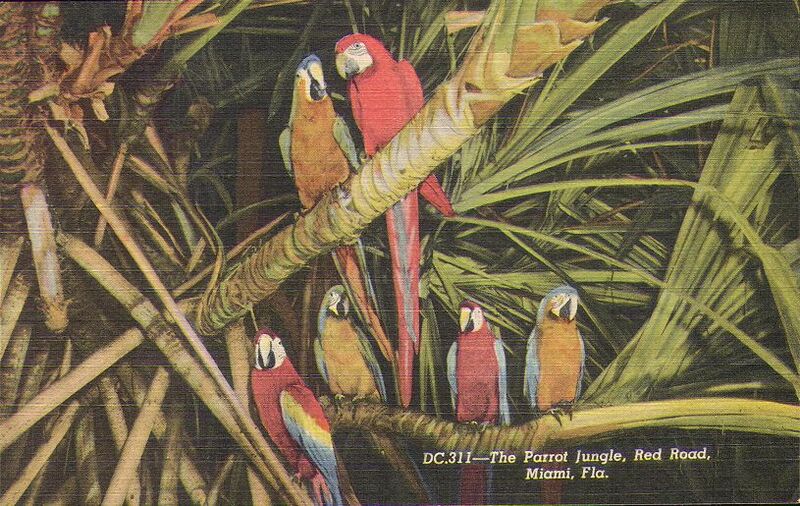 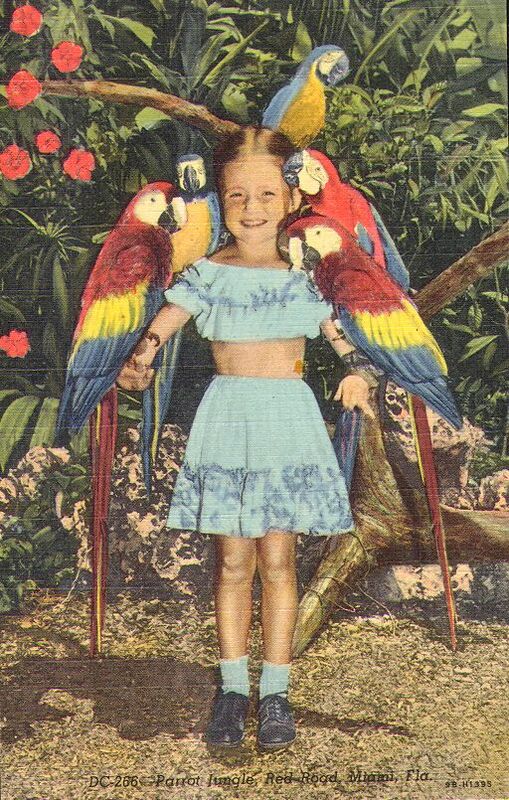 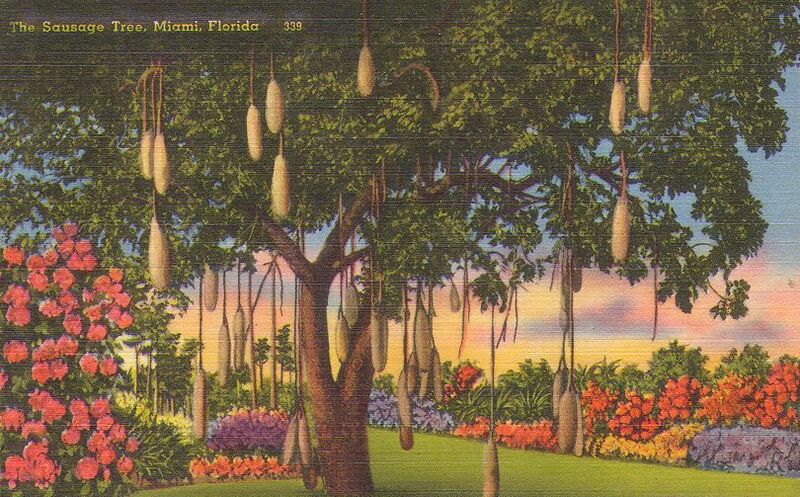 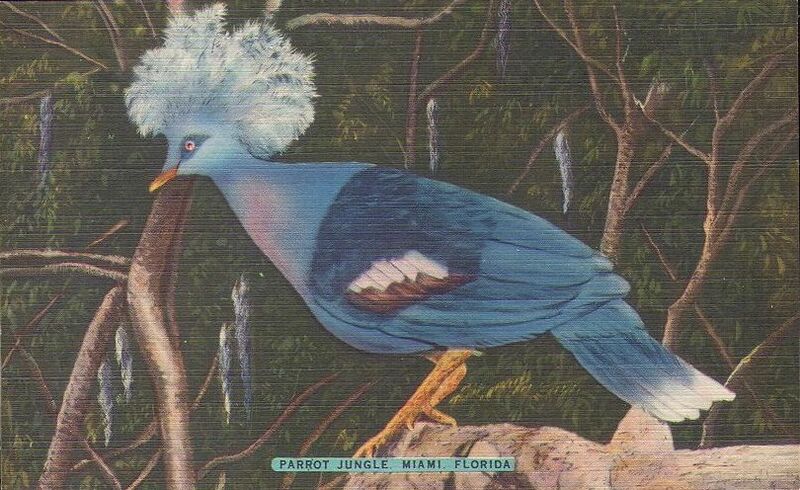 Be sure your trip to Miami includes Parrot Jungle--Red Road, Miami, Fla.